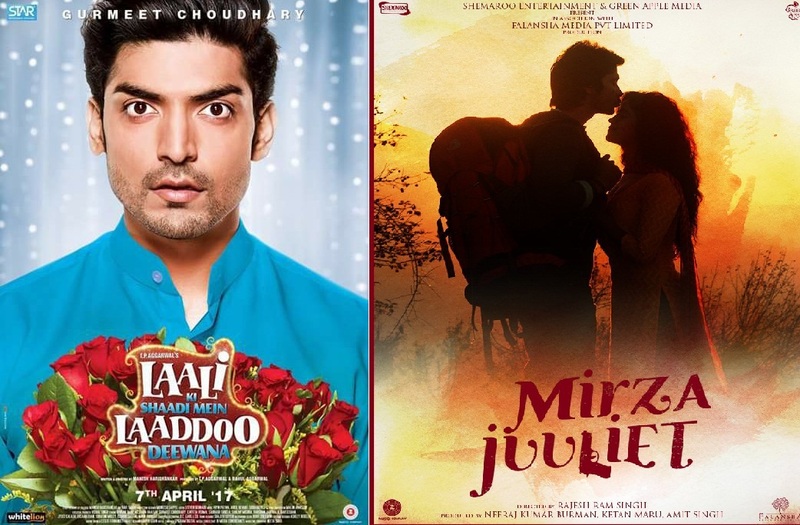 Bollywood Movies Releasing On 7th April 2017: First week of April is going to be awesome for Bollywood movies lover as new Bollywood movies going to release this week and they all are most awaited film of 2017. Laali Ki Shaadi Mein Laaddoo Deewana is going to releasing this week at box office. The month of April 2017 has an interesting line-up of drastically different movies. However, if you are really looking forward to a big movie adventure with your friends and family, Laali Ki Shaadi Mein Laaddoo Deewana is finally here. Lets check out full wiki and information about Bollywood Movies Releasing On 7th April 2017. As per our researches and new updates only few movies releasing this Friday at the box office. 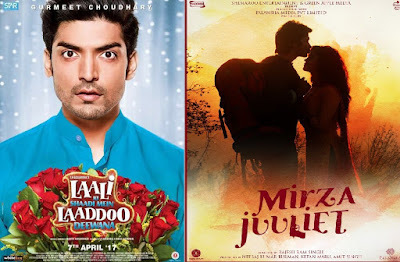 First release of this week 7th April 2017 is Laali Ki Shaadi Mein Laaddoo Deewana and other one is Mirza Juuliet, according to koi moi upcoming movie list. Mirza Juuliet: This film starring Pia Bajpai, Darshan Kumaar and Chandan Roy Sanyal in main lead roles. It is scheduled to on release on 7th April 2017. It is upcoming romantic drama movie. Hopefully, Mirza Juuliet will be a great start at the box office. Laali Ki Shaadi Mein Laaddoo Deewana: Laali Ki Shaadi Mein Laaddoo Deewana is an upcoming Indian family entertainer, The film, which has emotions and comedy in equal measure, follows the journey of its titular characters. The movie revolves around a royal marriage and quirky characters, who are hilariously trapped in their own tragedies. Here enjoy the theatrical trailer of the film. This is all about the latest or Bollywood Movies Releasing 7th April 2017 this week i.e. Friday7th April March 2017 new Hindi films. Stay tuned with us to get updates on the names of upcoming Bollywood movies releasing on 14th April 2017.